CARY, NC—Good intel has its rewards and, if used properly, can help hotels stand out in a crowded market. Hospitality brands are utilizing business analytics to get a 360-degree view of their customers and harnessing the data to drive marketing campaigns that produce positive results. SAS, a business analytics firm based here, has been a resource to brands such as IHG (Intercontinental Hotel Group), Vail Resorts and Foxwoods Resort Casino to boost brand performance, create customer experiences, understand their preferences, and more. 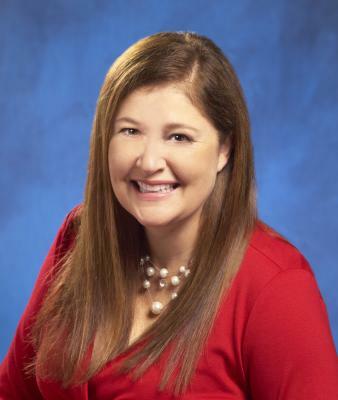 As a senior industry consultant for SAS’ Hospitality and Gaming Global Practice, Natalie Osborn takes the capabilities of the firm’s software and solutions and then translates them to help businesses solve problems or put true insights into action. According to Osborn, it’s not just how the hotel interacts with guests and how to make it profitable; it’s also about how guests value what they receive. More than ever before, hospitality companies are able to determine what’s motivating a guest and make smart decisions based on the technological advances available to them. Today, the industry is seeing a lot of activity in terms of mergers and acquisitions, the rise of OTAs and arrival of booking intermediaries, which has presented multiple rivals for hotel brands with bigger marketing budgets to boot. One of the solutions Osborn employs is SAS Customer Intelligence 360, a digital marketing software application that helps with planning, analyzing and tracking the guest journey across all of the various digital channels. According to Osborn, it includes digital intelligence and engagement capabilities to place digital content in the right places to get the best outcome. “Many touchpoints are digital, whether we are ready or not, and those relationships are complex. We need this type of solution to manage those interactions. We can’t rely on great team members and front desk agents because the interactions are now device-to-website, not just person-to-person. This type of marketing application can help,” she said. So, how do we stop thinking about marketing as an activity we are doing to customers and think about it as a seamless service experience? To answer this question, Osborn believes you must first start with good analytics to help drive your business forward. Previous ArticleDo Millennial Preferences for Loyalty Programs Differ from Other Demographics?